I don't know about you, but I love love love making steampunk-y things! All the different elements you can use, mixing old with new, it's just so much fun! This week the snarky sisters are bringing you a steampunk inspired challenge, so break out your flying machines, goggles and light bulbs and let's see what you can come up with. 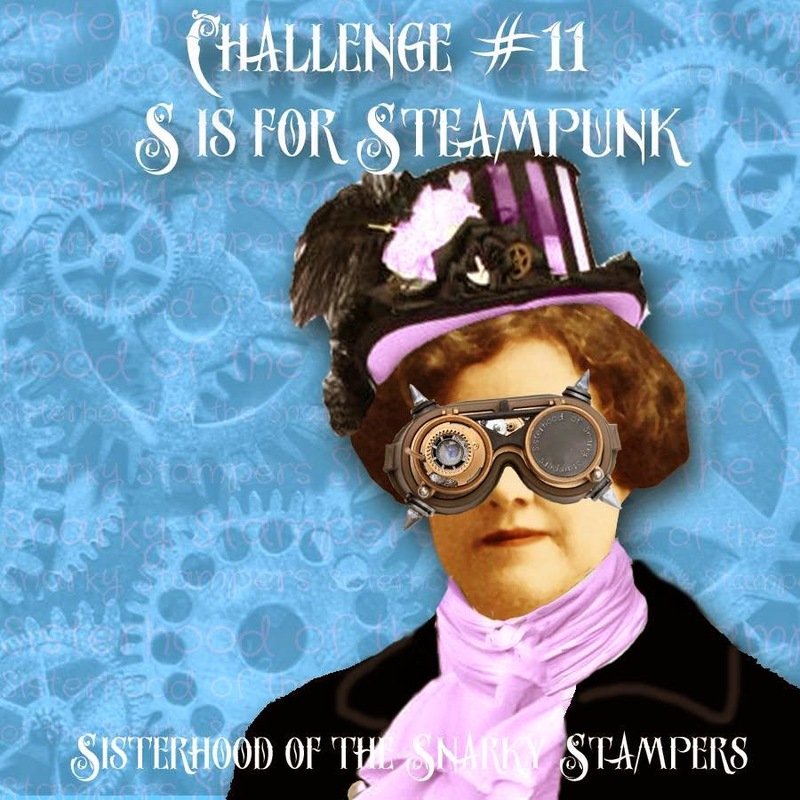 Visit the SoSS BLOG for all the details on the challenge and while you are there show my sisters some crafty (steampunkish) love! This is all kinds of steampunk goodness, Donna! Those lights are over-the-top perfection. 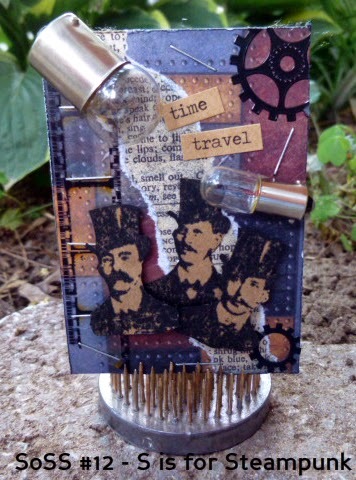 Super steampunk atc. Love all the elements on it. you really excell in steampunk-y!! Your Steampunk ATC totally rocks, Donna! Love that stamp and OMG! Lightbulbs! It looks awesome. I wish I could find my lightbulbs.. This is too cool! And it is but a mere ATC. I laugh that you can fit two lightbulbs on an ATC, who knew??!!! !